If you follow the photographic press online you cannot have missed the 'shocking' news that Leica have just introduced another M digital model which has no rear screen and a dummy film advance lever as a pull out thumb grip. The trolls are having a field day, which I find highly amusing. Because of the traditional shape of the M camera it has no handgrip which some users find difficult. The solution to date was to buy a small thumb grip which fitted into the hot shoe, not ideal as you couldn't use a flash or supplementary viewfinder with the grip in place. Leica's solution to add the dummy wind on lever is extremely practical and frees up the hot shoe but is not really new. Sadly too many of the trolls have no knowledge of older film cameras which were also bereft of a handgrip but had a film advance lever that served the additional function as a thumb grip. It works well as such on my M6. Mike, I did notice this and quite frankly I was gobsmacked! It struck me as silly, why not just add a thumb grip? Having looked at an article about this new model, I have to say I’m not impressed at all. I happen to really like an LCD screen for a myriad of reasons! What next a false frame counter to mimic another age. Nostalgia gone mad methinks, let alone the cost of this monstrosity! Leica would better developing a decent viewfinder so that people who use glasses can see the whole VF screen, and embracing the digital age. I suspect that most folk don’t want to relive the 1950s and certainly not at Leica prices! I really like my Panasonic Leica lenses, so I know that Leica is perfectly capable of designing modern digital equipment! PS, I’m old enough to remember pre M cameras and indeed I nearly bought a Leica 3, but it was out of reach of my wallet! Leica would better developing a decent viewfinder so that people who use glasses can see the whole VF screen, and embracing the digital age. If you ever get the chance take a look through the Leica SL601 mirrorless EVF. Although the camera has been out since 2015 it has yet to be surpassed both technically and as a tool, but yes that comes at a price. 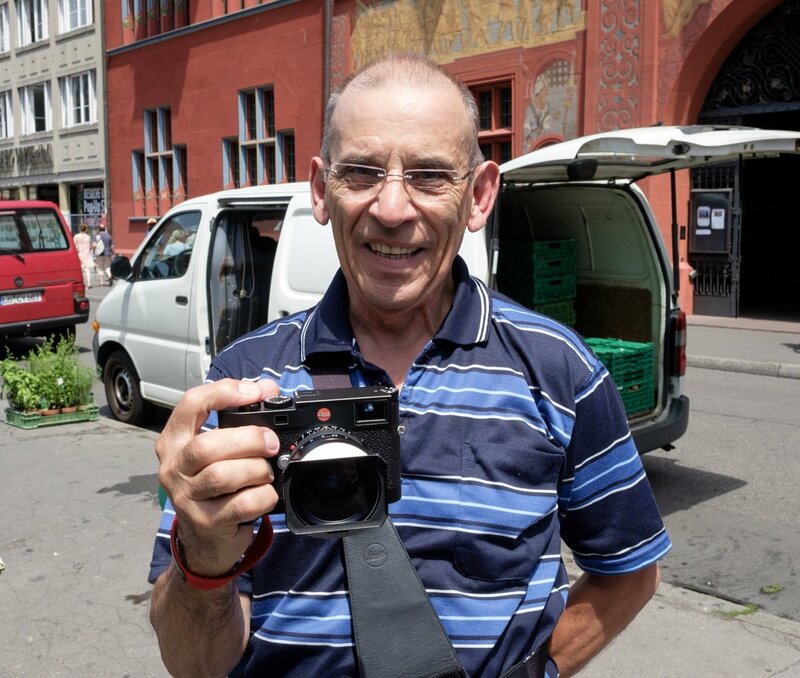 There are of course a surprising number of photographers that prefer the older style of analogue cameras, which is why Fujifilm, Nikon etc have produced them too, and Leica are one of the few companies bucking the trend with sales. I have a Nikon D750 and mostly use it set to manual, even using manual focussing for much of the time, so advancing technology is of little interest to me and frankly makes a camera more complicated than necessary. The advance in sensor technology is again of debatable value except for the professional. I have several prize winning images printed to A3 from a 6 Mp camera which hold up against the current crop, but then how many of the trolls demanding more and more pixels actually print? A minority to be sure. I'm afraid the camera buying public is at the mercy of the marketing people whatever brand they choose, with constant updates, new models and technical advances because they can, rather than because they are really needed. The good news of course is that we have more choice than we have ever had at varying price levels and technical sophistication. Long may that continue. I'm off to clean the Rolls! I do find it odd that makers produce cameras which, for retro reasons, are so badly designed that the users have to stick things on them to make them easier to hold properly. Adding a dummy film wind lever to rectify this defect would be a joke if it was not so tragic. Why is it that some people cannot be adult enough to accept that old designs can be improved without compromising the integrity of the original? Cameras like the Fuji X-Series and the Nikon Df do not fall into this category of foolishness, because there are ergonomic reasons for their designs. Making a thumb grip look like a film rewind lever is pretentious. Recently I ran into an entire squadron of them discussing the "equivalent 120/2.6 aperture value" of the new Sigma 60/1.4 DN on a hypothetical "full frame" camera (they can't bring themselves to say 35mm format because that might cause a short in the brain by people unable to differentiate a format ID with a focal length!). Even their staff writers are now using this terminology in their articles with a full scientific justification. Still, none of the resident photography geniuses there are able to explain how exposure values don't seem to fit this pseudo-scientific equivalence theory of theirs. The mind boggles. So let's look at the exposure triangle ... ISO (or ASA if you are so inclined), shutter speed, aperture. What else do you need? I'll give you the benefit of the doubt Anthony that your comments are not aimed directly at me, as being in my 70's I feel sufficiently adult to know what not only suits me but many others, and to recognise a clever solution to an itchy problem be it from Leica, Sony or Fujiflim all of whom are sticking to their own particular design philosophy, that will suit some but not others. I have no problem with advancing technology. If you were to look around my office you would see sufficient evidence to support my claim. We all have different demands and should be grateful that today we have such a broad selection to choose from that we can probably all be satisfied. Let's face it, there isn't a digital camera out there that produces bad images. What I do object too is criticism of anything or anybody without personal experience. In respect of the 'thumb grip' I have no experience, and despite the pages of chatter on the internet only a relative few have. I may hate it, but knowing how useful the film advance lever has been in the past in that respect I'll give it the benefit of the doubt until such time as I do try it. Not that I'll be buying the camera because it is way beyond my planned expenditure on photography. But life is far too short to get hung up on such trivialities. My hobby is photography and I am far happier discussing the end results than the means of getting there. Both of my digital cameras have screens. I rarely use the screens, since I never chimp nor review photos on the camera screen.. So the screenless Leica would suit me just fine. I can't comment on the thumb rest, not having had the camera in the hand. My comments were certainly not aimed at you, or at any other individual on this site. I do not even know what you shoot with, although I could probably find out by searching back. It may be that the thumb grip works really well. It seems that the camera needs something like that to enable people to hold it firmly. My point is that designing to look like a film advance lever is retro carried to the point of silliness. I have just spent a while looking at the Leica U.K. website, and yes I looked at the M10D, I’m now even more convinced that retro thumbrest idea is silly! And there being no rear screen is equally for me a non starter, for goodness sake this is the 21century, and IMHO a rear screen has a multiplicity of uses. I am sure the M10 standard version takes stunning pictures! Sadly out of reach of my pocket! This is as near as I’ve been to an M10 + a 21mm lens belonging to this Australian chap I bumped into in Basel, however I was impressed by the holster he is wearing! A pity other manufacturers don’t do the same. Our reaction to everything is subjective and I have no problem with that. It will be a boring world if we were all to agree. I would much prefer to see a moulding in the body to accommodate ones thumb, as most other manufacturers do! While we’re at it I believe it’s necessary to remove the bottom plate for some of the connections, retro nonsense again! 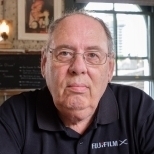 Good point Mike, I would rather own an X-Pro type of Fuji than my current X-T1, if only I could see the entire viewfinder using glasses! The X-T1 eye relief is perfect for this so I'll be keeping it. I may eventually replace it with an X-T3 during some Fuji sales promotion. Don't forget that you can get different viewfinders on the M series. My M6 has a .58 viewfinder and I can see all of the framelines perfectly wearing my varifocals. But as I have said before it is all a matter of taste and if you are sensible, which I'm sure all members are here, you buy what suits you best. My big hands just don't get on with small cameras but that doesn't make them silly or dysfunctional, just unsuitable for me, so I don't buy them. It’s just occurred to me that how long before some nostalgic twit snaps off a faux winding lever thinking it’s a real one!